Ronaldo took a step closer to his dream of an international title, when Portugal beat Poland in a penalty shootout to reach the Euro 2016 semi-finals. 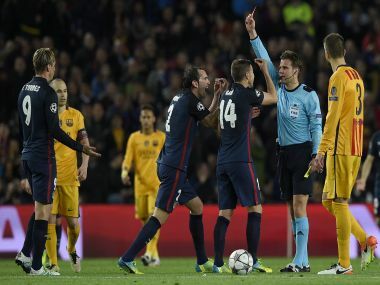 Fernando Torres raged that Atletico Madrid are not treated equally to Barcelona by referees after his early red card turned their Champions League quarter-final, first leg around on Tuesday. Brych was involved in the so-called phantom goal match during a Bundesliga clash between Bayer Leverkusen and Hoffenheim in October.